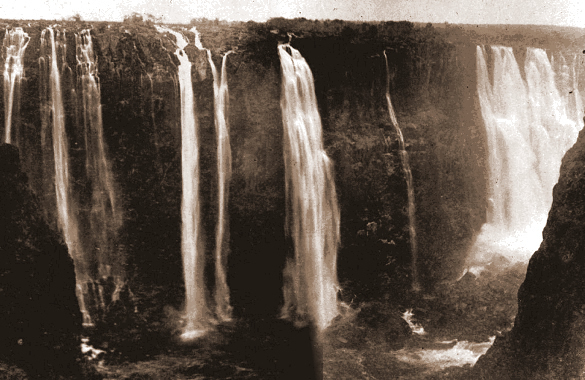 It is not clear who took the first successfull photographs of the Victoria Falls. 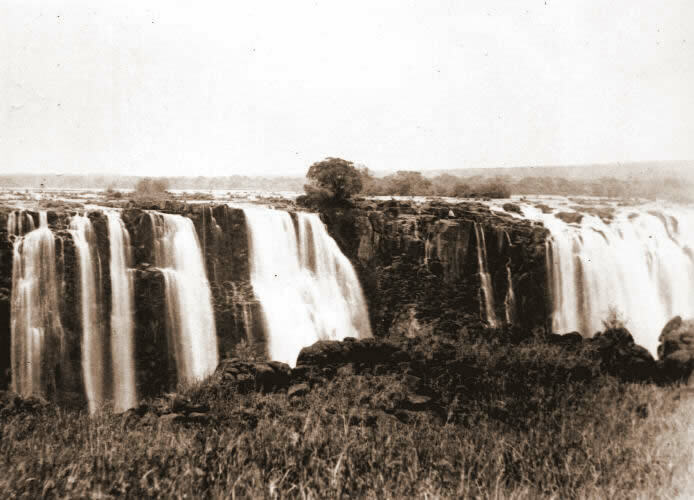 Charles Livingstone had been enroled as expedition photographer for Livingstone's Second Expedition in 1860, although it is believed by the time they had reached the Falls he had given up on his attempts at the skilled artform. 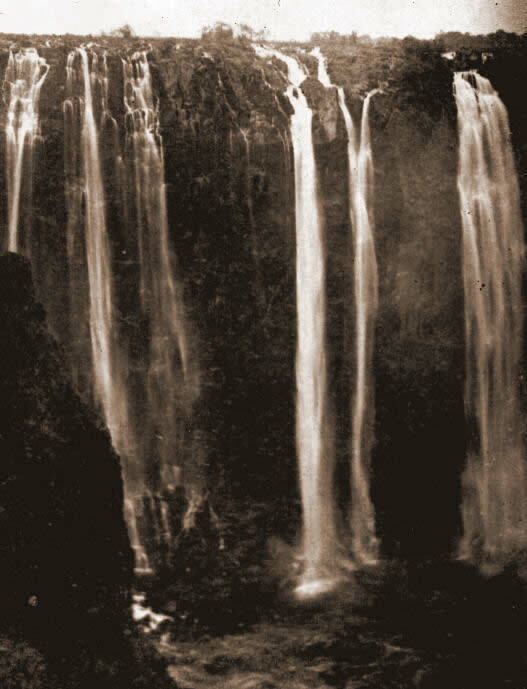 James Chapman attempted to take photographs of the Falls in 1862 during his visit with Thomas Baines, although he himself described his attempts as a failure. 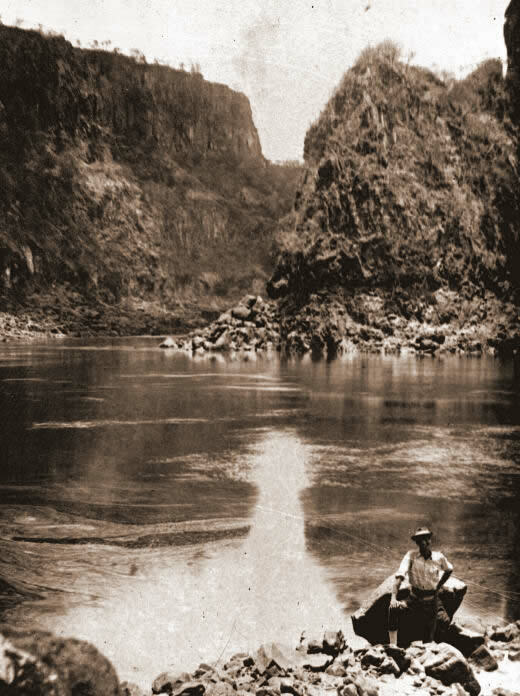 Francis Harold Watson, known as Frank 'Zambezi' Watson, first travelled to 'Zambezia' in 1873 and made many subsequent expeditions, both as a trader and as a hunter. 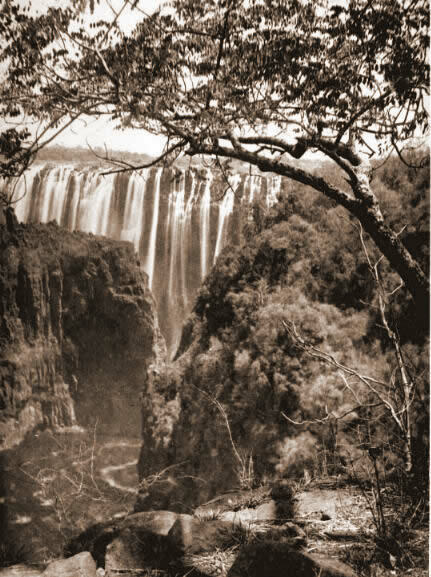 He became a close friend of Selous on his journeys, and also became a business partner with George Westbeech. 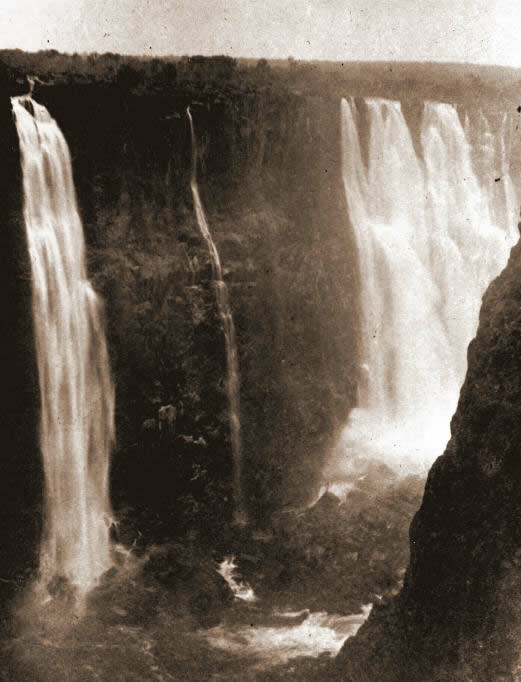 These photographs were taken during an expedition in 1891, and represent some of the earliest known photographs of the Victoria Falls, gorges, and 'Big Tree'. Down in the gorge, with Watson in the foreground. 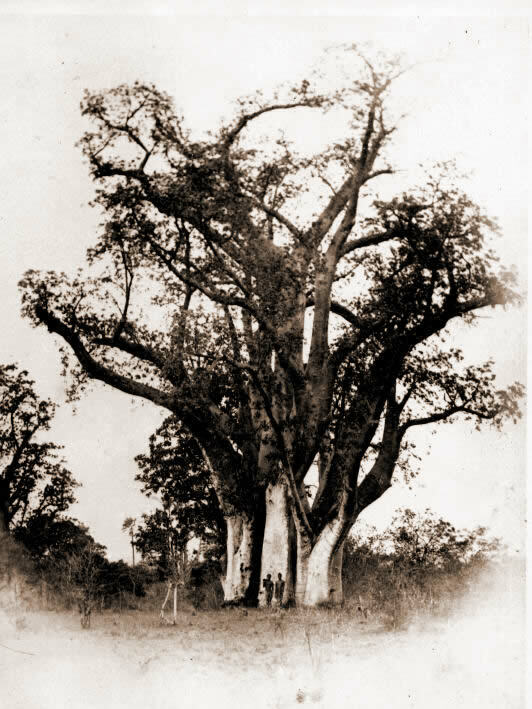 Big Tree, by 'Zambezi' Watson. 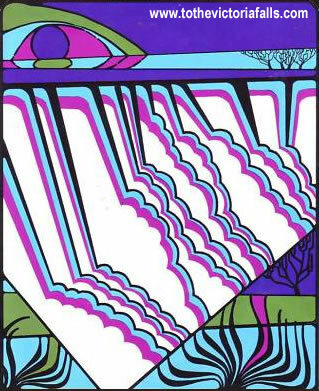 Crossing a drift, by 'Zambezi' Watson. 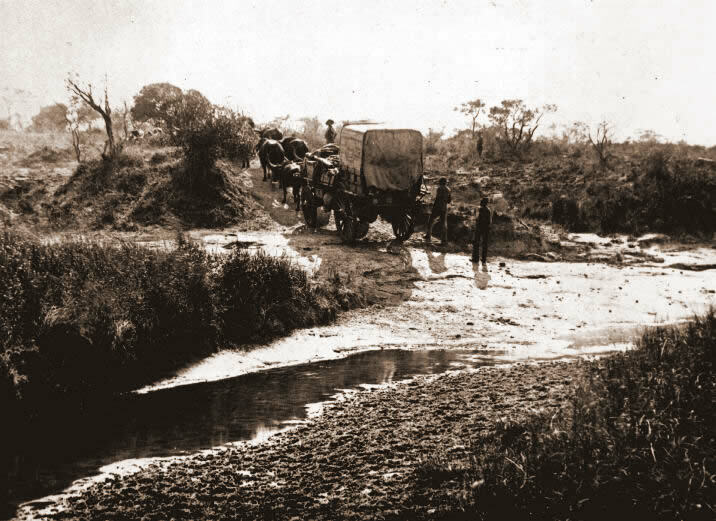 Travel by ox-drawn wagon was slow and difficult. 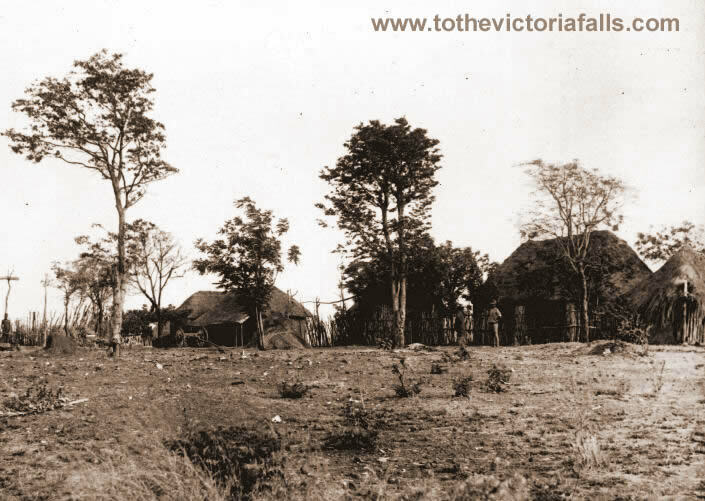 George Westbeech set up the Panda-ma-Tenga trading station about 60 miles south of the Zambezi River. Westbeech and Watson became partners in this venture during 1887-1888. 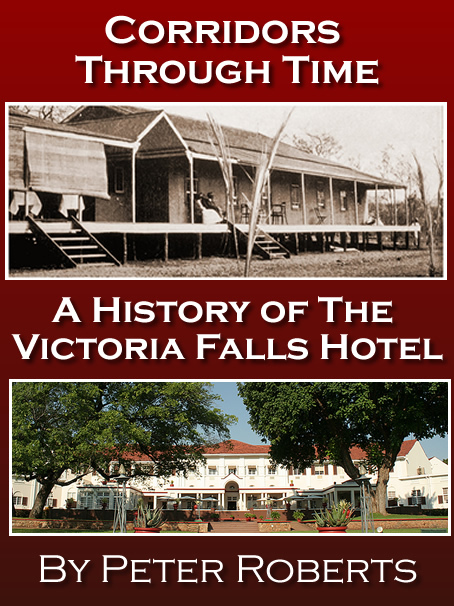 'To The Victoria Falls' aims to bring you the wonder of the Victoria Falls through a look at its natural and human history. 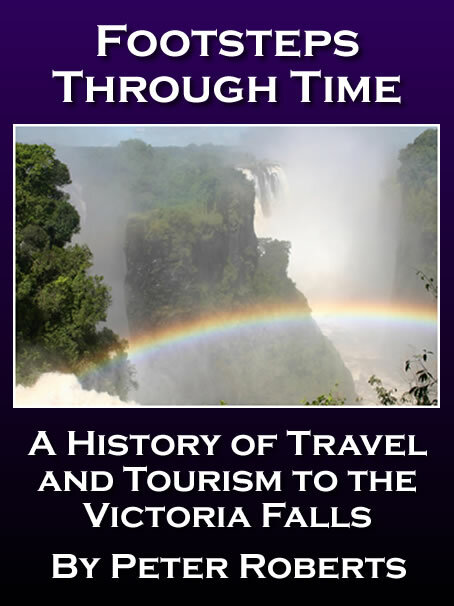 This website has been developed using information researched from a wide variety of sources, including books, magazines and websites etc too numerous to mention or credit individually, although many key references are identified on our References page. 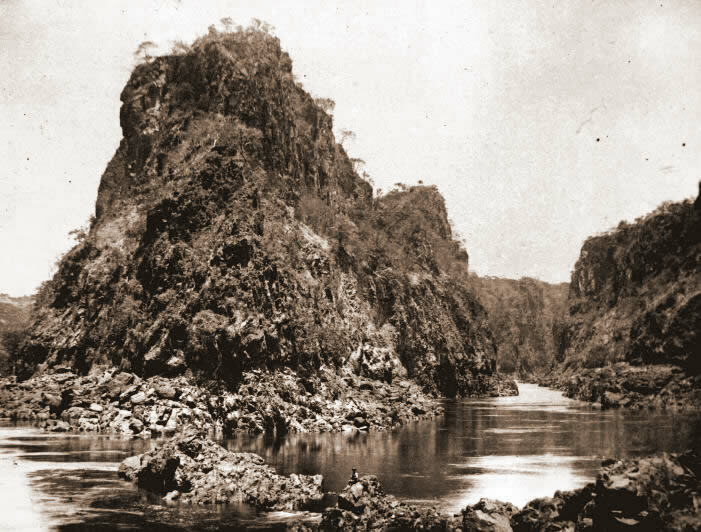 Many of the images contained in this website have been sourced from old photographic postcards and publications and no infringement of copyright is intended. 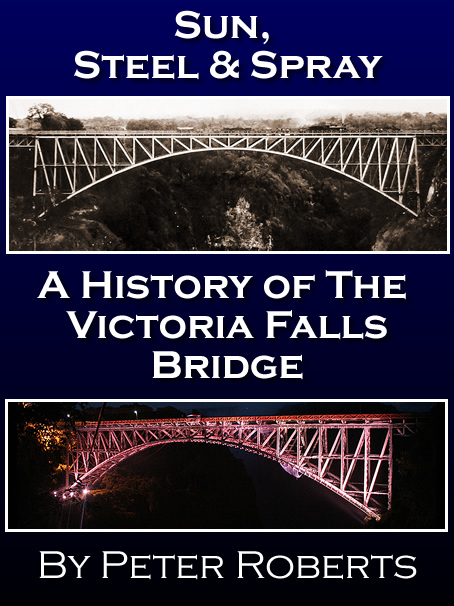 We warmly welcome any donations of photographs or information to this website. 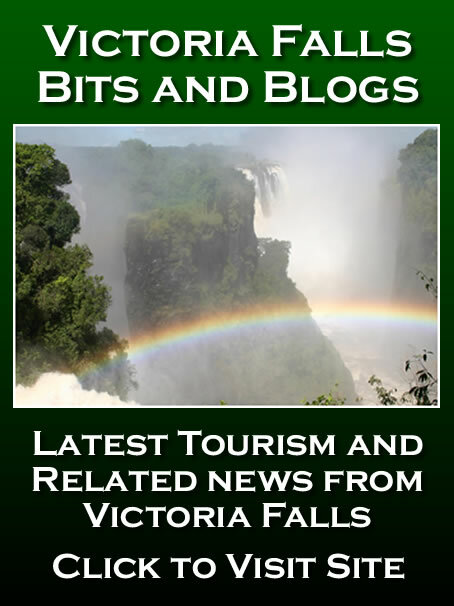 Website text © Copyright Peter Roberts 2012, All Rights Reserved.